Daniel Dae Kim, PA-C, became a part of Warner Family Practice in 2019. His approach to care is to ensure that every patient is heard and genuinely cared for without ever feeling ignored and judged. Daniel’s story began in Seoul, South Korea where he lived until he was 12 years old. He, his older sister and their parents then moved to Southern California. 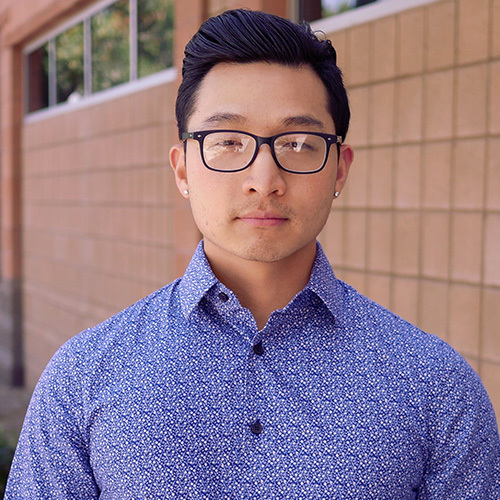 With a desire to help people, Daniel became interested in becoming a healthcare provider while attending college. Because he excelled in science, he decided to pursue a career in medicine as the main vehicle by which he could serve others. Looking back, Daniel is glad he chose this route to help others as it is a valuable skill that can be used anywhere around the world. Coincidentally, he wrote his bio while in Panama on a short-term medical mission trip. For Daniel, the most rewarding parts of practicing medicine are the relationships. He firmly believes that life is all about relationships: a vertical relationship with God, and horizontal relationships with others. The fact that he gets to build relationships with his patients by helping to meet their medical needs is incredibly fulfilling. Daniel once heard a doctor say, “Imagine if the news were to break on the front page of a newspaper tomorrow morning that there’s a new drug available by prescription. It is FDA approved, in bountiful supply, stunningly inexpensive, shockingly free of side effects, safe for both children and adults, taken once daily, and can reduce all major chronic illnesses by 80%. What would anybody do?” Well, the truth is that such a drug does not, and probably never will, exist; the only thing that comes close to that is living a healthy lifestyle. Success for Daniel begins by making sure people feel safe, significant, and valued through what he does. If he can do that on a consistent basis while empowering patients to take responsibility for their health through lifestyle changes, that would bring him the greatest joy as a primary care provider. He genuinely cares for people as a whole, and his hope is that his patients will see this reflected in his actions. For those who are embarrassed or ashamed of their past health choices and are hesitant to schedule a visit because of this, Daniel would say there is no human being who has ever lived on the face of the earth who did not make poor choices in their past. We are all alike and have all messed up in one way or another. No one is perfect. As mentioned previously, Daniel regards relationships as the highest priority in his life, far above material possessions and hobbies. Outside of work, he spends most of his time at his church, where he serves as a worship leader, leads a Bible study, and helps out with the youth ministry. The one moment he cherishes above all else is when he reads and meditates on the Bible every morning before work. There is nothing like praying and reading the Bible that so strengthens and empowers him to want to do good each day. He regards it as the most important routine in his life.